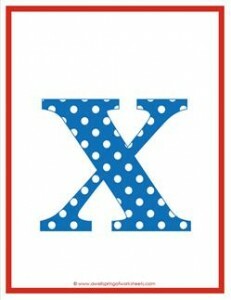 I think this polka dot letters lowercase x is kinda cute. It’s such a pretty blue – my favorite blue at that! – with white polka dots and a red ribbon framing it on this page.